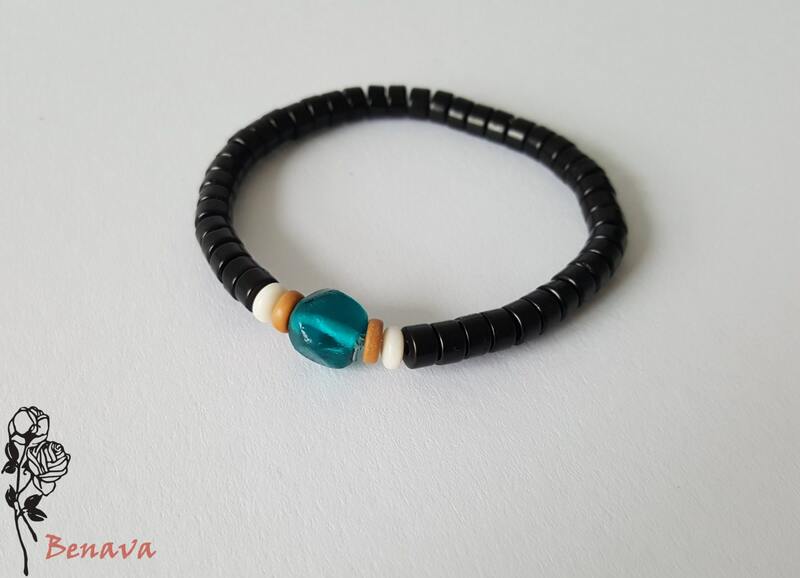 This bracelet consists of hand-polished coconut pearls and is decorated by a beautiful dark turquoise glass bead. 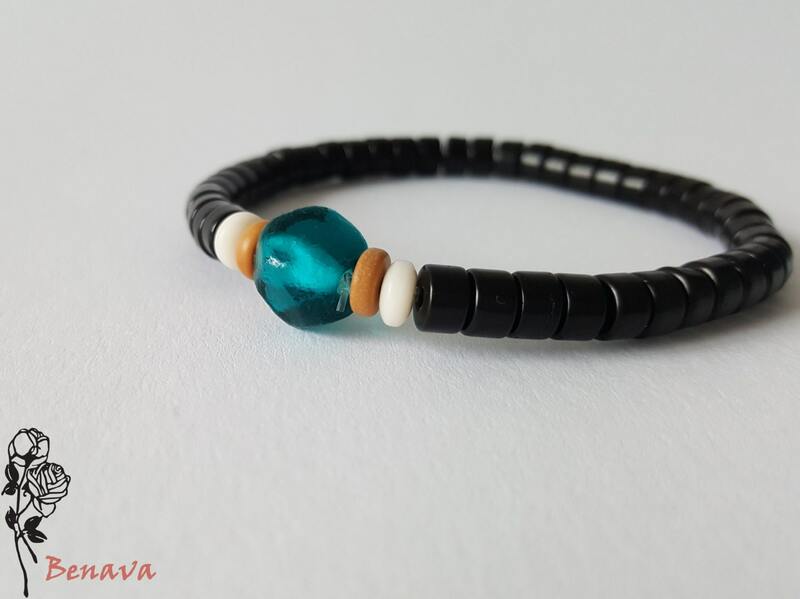 The beads were traditionally melted on an open flame (Lampwork technique). 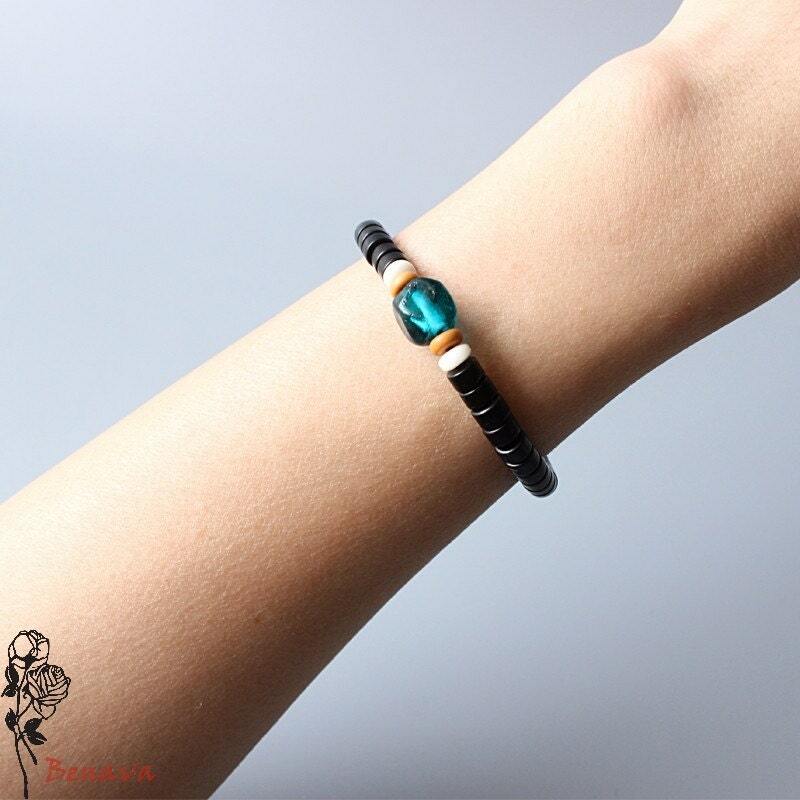 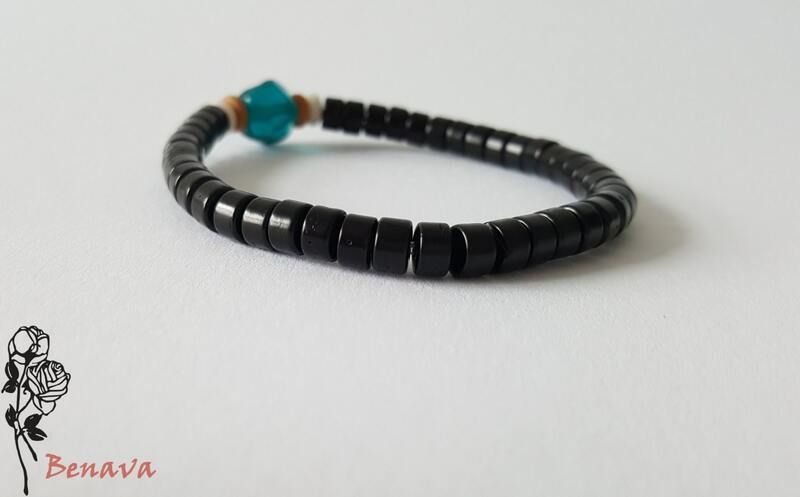 The bracelet is finished with a stretch cable, ensure a comfortable wear.